Well, we already were Google Partners, we’ve requalified. But what does that mean exactly? 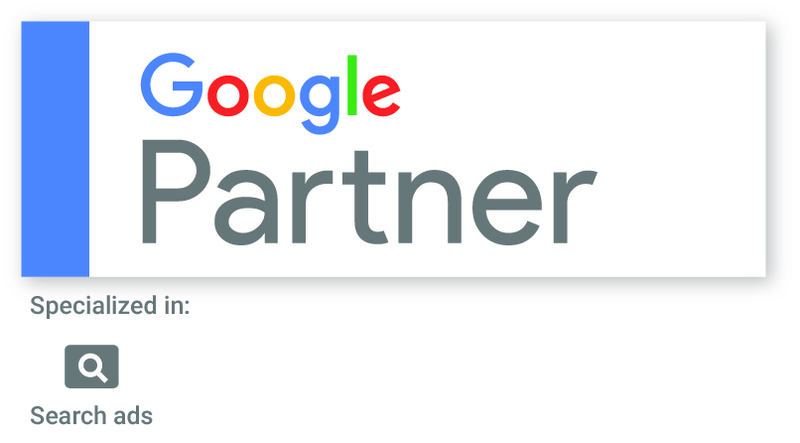 Well first off, it means we meet the entry requirement of having a substantial enough client base and monthly spend to qualify to enter to become a Google Partner. So, you already know lots of clients trust us with their PPC budgets! Is it just PPC search marketing? Yep, it is. And our PPC experts passed both the fundamentals and search marketing module with flying colours meaning we’ve achieved Partnership status once again. If you’ve not yet delved into the world of Adwords, let us tell you, it’s a beast of a system and it changes frequently, so keeping ahead of the game (and the competition) can be tricky! So, partnering with an agency who have specialist PPC consultants could help yield the results you’re looking for, maximising that precious budget. Talk to us and found out. In essence, it puts you on page one of search, but depending on the keywords you’re targeting this can be a very costly exercise. Our experts can advise on the best approach for your business based on the budget you have available and tailor a plan to meet your needs. PPC is generally run alongside a solid SEO strategy – and guess what, we do SEO too! If you want to talk PPC, SEO or digital marketing as a whole get in touch and let’s make progress.